On Sunday 5th April 2015, David and Avril Haines and I were looking under stones on the cliff-top below the Stoerhead Lighthouse carpark (NC0032), as you do when a haar rolls in, and any passing cetaceans are invisible! 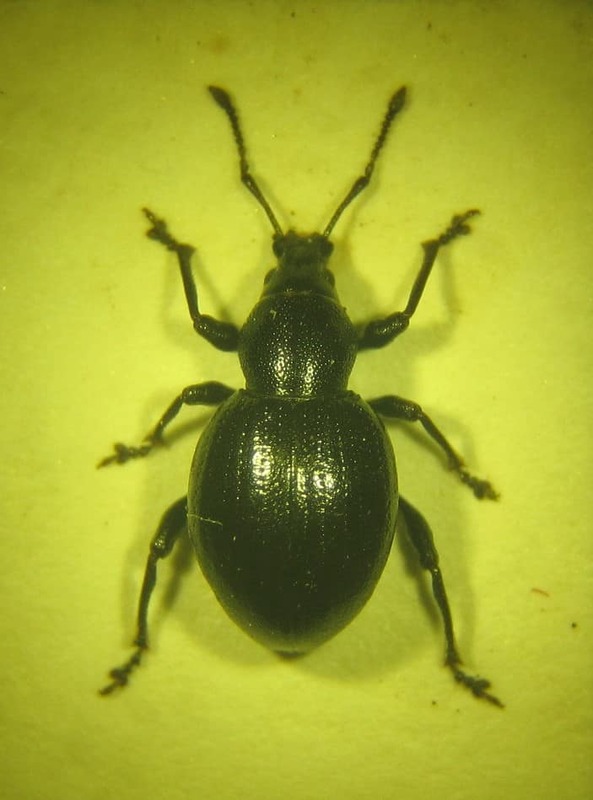 Avril found a small (5.5mm), shiny, black weevil, which I retained, since I cannot identify them in the field. It was a broad-nosed weevil, Otiorhynchus arcticus, related to the notorious vine weevil, but with a much more restricted distribution. It is found under stones on mountain tops, mainly in Scotland, but descends to sea level in the north and west, like some montane plants (e.g. moss campion Silene acaulis). The only other local record I have to hand is a of a couple I found on 7th May 2011 just down the coast, near Balchladich (NC0230).